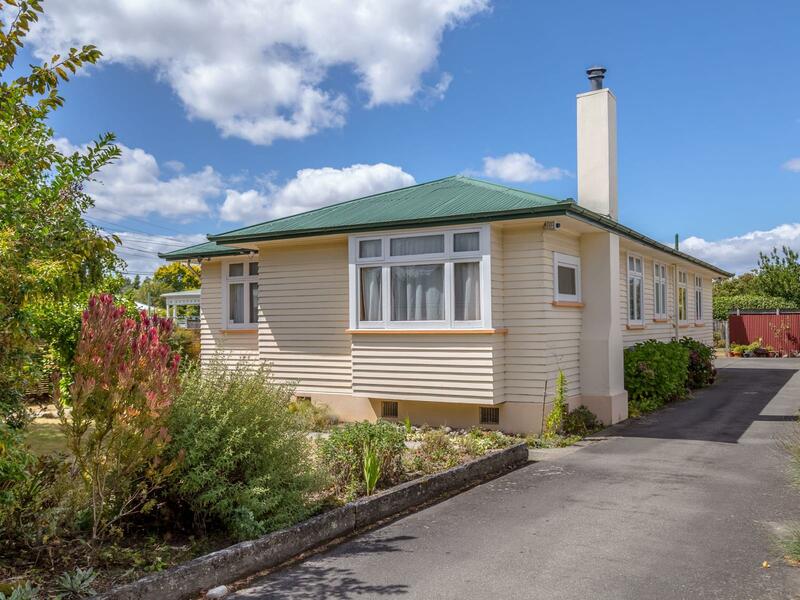 This lovely sound 3/4 bedroom home located on a generous family sized section is so close to Wairarapa College, Douglas Park School and Masterton Intermediate, your children will walk to school in just a few minutes. Built in the 1940's this home is very sound and offers lovely plaster ceilings and cornices with wonderful character, generous sized bedrooms and a separate formal lounge. With insulation top and bottom, 2 log fires and a heat pump, you will be toasty and warm in winter and cool in summer. There is also a generous sized conservatory on the sunny side offering additional space for your family to enjoy. A large garage workshop together with a large wood shed completes the picture of a wonderful home for you to enjoy for many years to come. Be quick by calling Graeme now to view.